Thank you for your continued prayerful and financial support. Now you can support us and shop for Christmas at the same time! Click on this link to see what we are offering for Nativity season. Soaps, ornaments and coffee all make great gifts! All-Merciful Saviour Monastery is a non-profit, 501 C3 organization, under IRS regulations. All donations are therefore tax deductible. 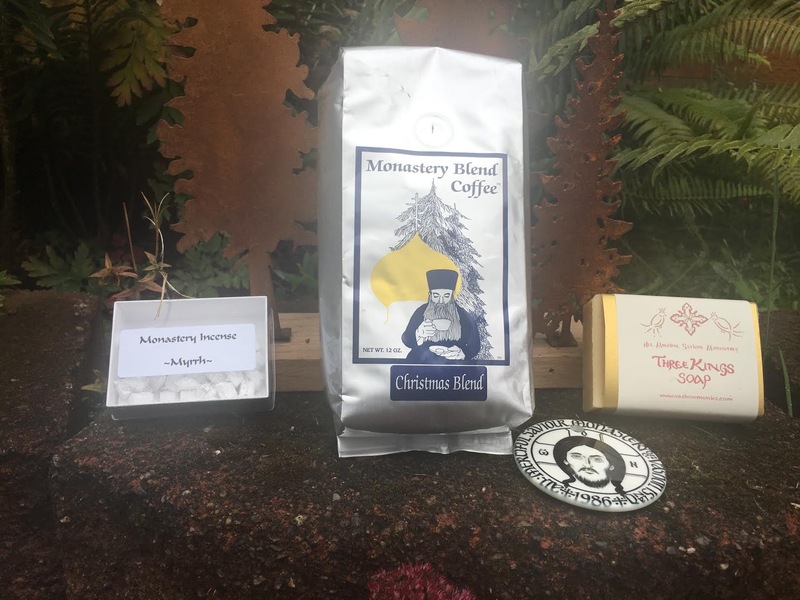 We support ourselves through the sales of Monastery Blend Coffee, our hand made soaps, and an on-line gift shop. We grow as many of our fruits and vegetables as we can, raise bees, and raise ducks and chickens for fresh, organic eggs. The monastery is also dependent on the generosity of our friends, supporters, and benefactors. Icon of the Most Holy Theotokos “She Who is Quick to Hear” (14th C).